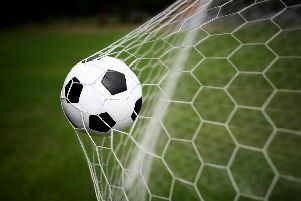 Shaun Charles bagged the only goal as Littlehampton Football Club secured an impressive 1-0 win at Newhaven on Tuesday. Charles struck eight minutes after the break to give Golds their first win in four Southern Combination League Premier Division matches. Littlehampton player-boss George Gaskin felt his team were exceptional and said: “They are a top side so for us to go there, keep a clean sheet and win was great. “It just shows what this team is capable of. I can’t praise the team enough, if I’m honest, and it’s the response I wanted after Saturday’s defeat. LITTLEHAMPTON: Hendrick; Barnett, McKay, D.Hand; Wiggans, Janman, M.Hand, Charles, Packer; Hutchings; Gaskin. Subs: Ball (Charles), Bates (D.Hand), Leggatt (Hutchings).